Starting a supplement company (or any enterprise for that matter) requires making a lot of tradeoffs. Manufacturers, suppliers, seed money, outside investment, sales channels, third party certifications, legal counsel, label design, third party purification testing, insurance, etc….it can all add up. Like easily six digits if you’re not keeping close track. (You can also do it for much less than that). If you’re starting a business for the first time (or second or third time for that matter) money is usually a big sticking point. Your order size often has to get into the thousands or tens of thousands of bottles to get steep discounts, stuff expires, and any new product has a chicken and egg problem: people will give you money if they already have proof of sales, but it can be hard to get started without a decent amount of money. So that brings us to an important choice new “foodpreneurs” can make for their business: whether or not they should private label their products. Private labeling is when a manufacturer has a stock recipe they sell to multiple sellers who put their own branding on the product. Ever wonder how your local grocery store is able to sell so many of the same items that national chains do? How they seemingly have the exact same labels and ingredients? You guessed it….they’re all getting it from the same place. Sometimes it literally is the exact same stuff. Some of you might scoff at the idea, but it has some benefits, and can be the best choice under certain circumstances. 1). Cost – The price of starting something up goes down drastically if you decide to private label. A proprietary product usually starts at at least around $10,000, whereas private labeling your own product can cost as little as a few hundred dollars. 2). All services included – Lots of time your manufacturer will do only that….manufacture your products. If you want the products labeled, tested, and shipped you’ll have to coordinate the services elsewhere. You’ll also have to buy your own hazard insurance which can be very expensive. If you private label the company will often include these services and others into your package (the insurance is particularly helpful. In the supplement industry hazard insurance has a floor of 2 million in sales which costs a bare minimum of 4-5k). 3). More unique than you think – Most private labeling companies are generic at best and crappy at worst. But there are a few that are actually pretty good with diverse product offerings. It’s probably taken for granted that almost all products are private labeled in one way or another. Almost all bikes in Wal-Mart or Target are made on the same floor. The Ford you drive is probably private labeling a chassis made by Volvo, and so on. 4). Appearances really do matter. In a grocery store consumers base about 50-75% of their purchasing decisions based on what they read on labels. If you have a sense of design and a nose for marketing you might be able to differentiate yourself more than you think. Ditto for the internet. How much of a disadvantage are you putting yourself in by selling the exact same thing as someone else? Sometimes a huge amount, and sometimes not very much at all. It mostly depends on your customers. If you’re looking for outside money, widespread distribution, or to go into retail then you can’t private label. You probably won’t be able to lower your price enough, you won’t be unique enough, and the people you’re selling to will be “high information” buyers. In this case doing a private label probably won’t cut it and you’ll have to do something more unique. And of course if you just want something that’s unique and proprietary to you then you won’t want to do it. People who sell locally – doctors offices, gyms, grocery stores, etc. People looking to fill in gaps on their existing product line – this happens a lot. Know of a company that makes a super unique product and then sells vitamin D3 along with it? It’s probably private labeled. For many people private labeling is not the way to go. For many others it’s at least a sensible place to start. If nothing else it can serve as an evolutionary progression if you don’t have the financial means to get started any other way. If that describes you then remember that all business comes down to arbitrage in some form. You won’t be able to do it exclusively on the uniqueness of your product, so you’ll have to be remarkable in some other way. Customer service, marketing, etc. Like I said before, not all of these companies are created equal. A good rule of thumb is to private label products that the company actively sells itself. This means the product has to be good enough to stand on its own merit. There are lots of private label companies that merely distribute stuff and don’t sell anything directly to the public. Avoid these kind of guys if you can. You only want stuff that’s being subjected to the market test. Note: I’ve never actually bought anything from these companies so I cannot vouch for them based on personal experience. I’m just going off of what I’ve heard and my own experiences speaking with them. Douglas Labs – Based out of Pittsburgh. They’ve been around for a long time. Of all the companies listed here I’ve contacted them the most and was generally impressed. They like to work with doctors. Reliance Vitamin – Probably the best known private labelers out there. I’m not sure if they sell their products directly to consumers, but they have a good product offering with unique ingredients and low minimums. You can get started for $250. In my experience they can be a little difficult to get a hold of. NOW Foods – The popular retailer also allows you to put your own label on most of their products. Next Post Channeling Kris Carr: When Should You Cut Out Your Cup of Coffee? Hi Jonathan, thank you for this informative article, I came across it at a much needed time. I am in the process of launching a supplement product myself and it has been a whirlwind journey. I am excited because I believe in the product, but scared at how much is involved in the process. I was wondering if you could touch on getting customers to try a new product. How was your first launch? Did you do test marketing, if so how and what were the costs involved? Thanks! Thanks. I personally did a lot of guest blogging and also got a booth at a local market, both of which were very valuable. I also got a lot of bloggers to do product reviews, which seemed to help. Very boot strappy. Let me know if you have any other questions, here or at jonathan@healthkismet.com. e-mail me at jonathan@healthkismet.com if you have more questions. Hi Jonathan, is there an industry average in terms of cost of private labeling/drop-shipping supplements. Do the private labeling companies take a percentage of retail, or do they charge per unit? How do they charge for shipping the product? It all depends on the supplement. They usually charge according to the units, not as a percentage of sale. You can usually sell it for whatever you want. Sometimes they’ll offer fulfillment and the total costs usually comes out to somewhere between $7-$14/order inclusive. However I don’t use any dropshipping service like this myself. Hi Jonathan, you are a star. 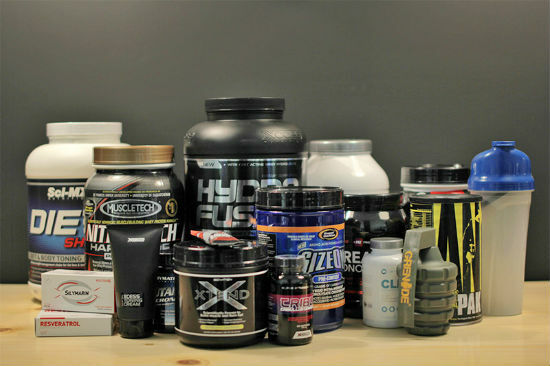 I love supplements but it is becoming so expensive for the average man. I am also on the quest to provide affordable supplements.